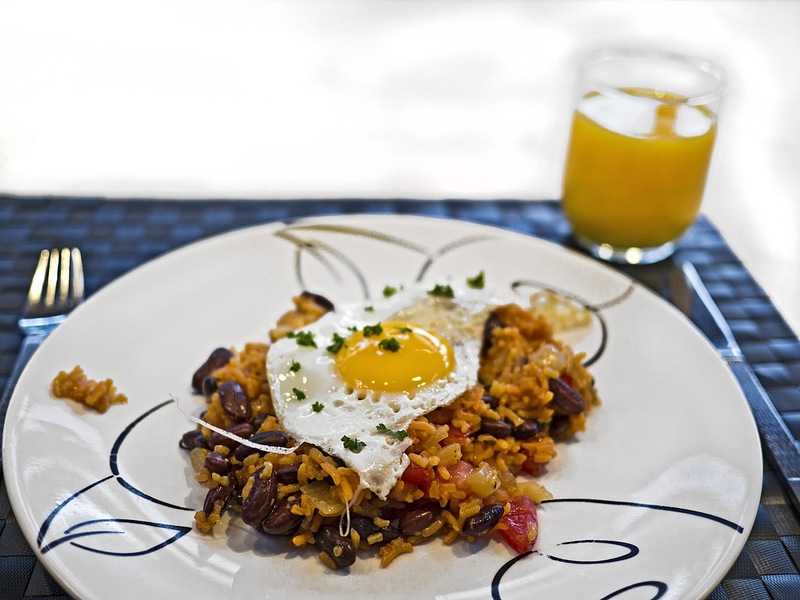 Gallo Pinto is a favourite breakfast dish in a lot of Latin American countries. I fist encountered it in Costa Rica in 2000, but it wasn't until we visited Nicaragua in 2011 that I fell in love with the simple mix of beans and rice after being served this traditional dish almost every morning for breakfast. 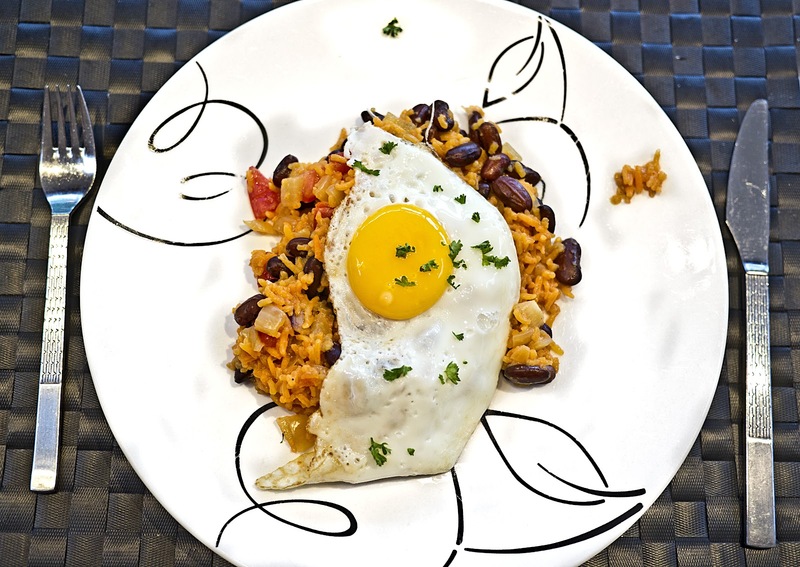 In Nicaragua they would serve tortillas and fried cheese alongside – loved the saltiness of the cheese with the somewhat blander rice and beans. Often the breakfast would be accompanied with some tomato salsa and soured cream and / or topped with a fried egg. 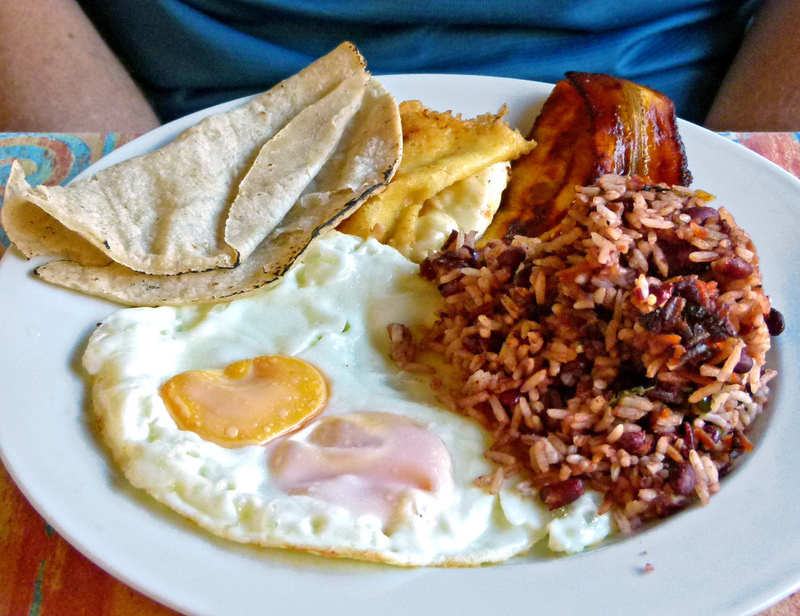 Nicaraguan breakfast: gallo pinto, fried eggs, tortilla, fried cheese, fried plantain. At the El Almirante Hotel, Grenada, Nicaragua. Here I have created my own version of Gallo Pinto to fit in with the Slimming World plan. * I used a foil packet called Sazón Goya given to me by a very dear Cuban friend in US, but any mix of spices will do, or even bouillon powder / stock cube. 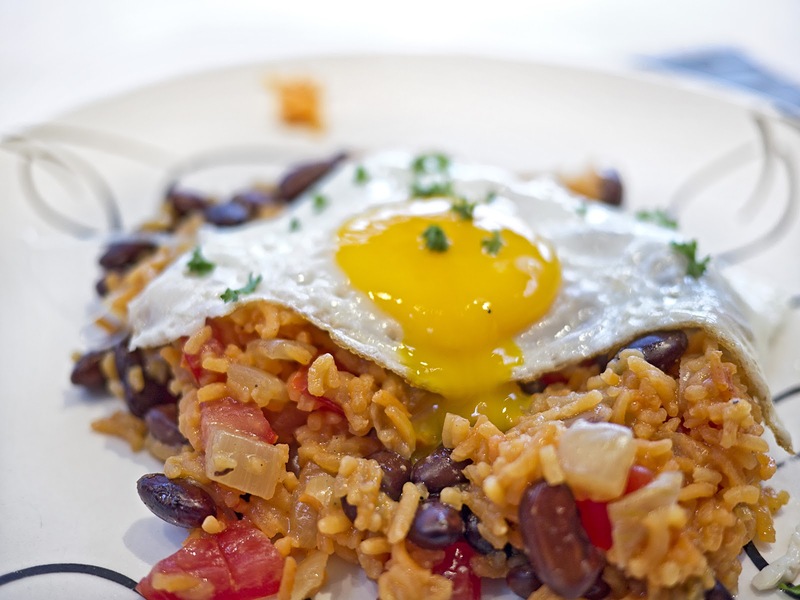 Start 2 days before you want to serve this for breakfast. Soak the beans overnight in plenty of col water. The next day, drain and rinse the beans, then cook for 1-1.5 hours until the beans are soft. Drain, but reserve the liquid. Boil the rice according to packet instructions and drain. Chop the onions and sauté in Fry Light until soft. 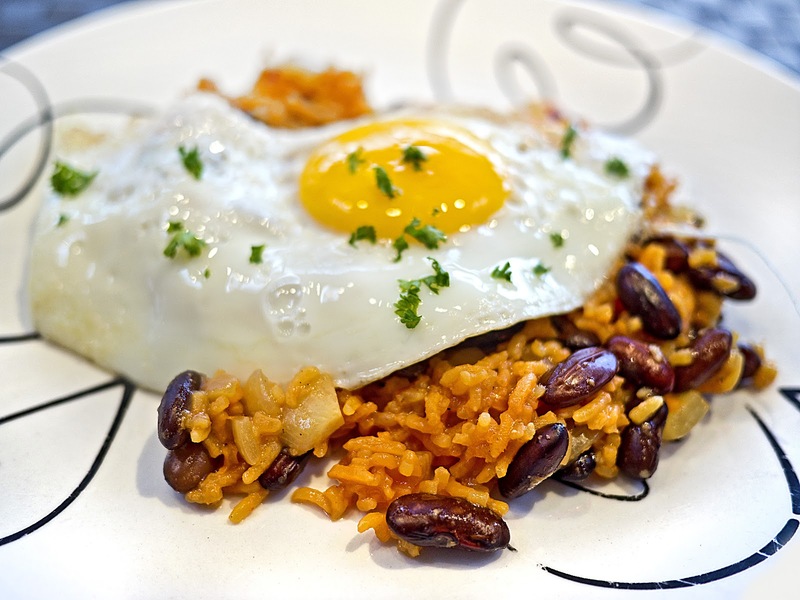 Add the rice and beans and enough of the bean cooking water to make the mix moist but not sloppy. Add the seasoning and tomatoes and stir until everything is heated through. Serve topped with a fried egg.